The Scooter Lounge began in 2002 in pretty humble circumstances. Since then, we have outgrown three buildings and become "The Best Scooter Shop in the Universe!" Or. . . at least in Utah. In 2009 we officially launched our online store and now ship parts to scooter lovers everywhere. We felt that in addition to having the best scooter shop in the universe we should also have the best scooter parts and accessories website in the universe! After all, not everyone can come and see our shop in Utah. Our goal with the website is to have a one-stop online store with the best navigation, best products, and fairest prices out there! 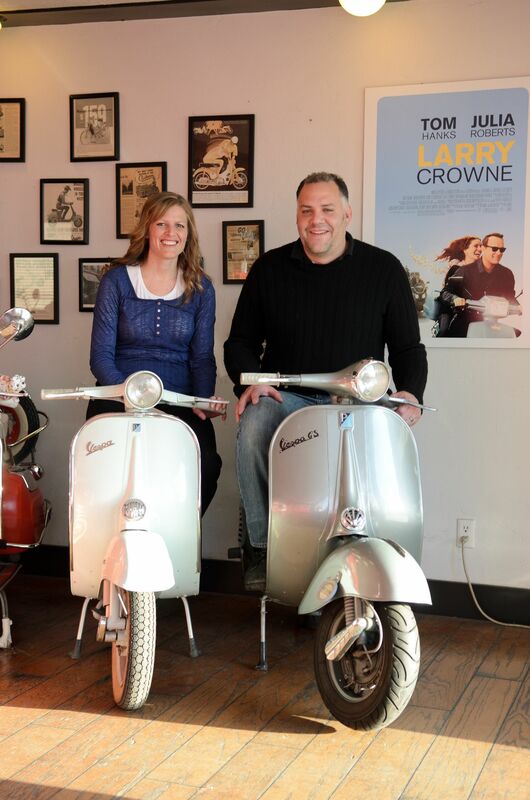 On a personal note, the couple in the picture above is David and Kaerlig Hurtado, the owners of The Scooter Lounge. We've been scooter enthusiasts since before we tied the knot. We want you to have a great experience with our store. If for any reason you are dissatisfied or if you have any questions or concerns, feel free to email us at thescooterlounge@gmail.com.